Rebellious Daughters contributors: Jane Caro, Jamila Rizvi, Susan Wyndham, Rebecca Starford, Marion Halligan, Amra Pajalic, Jo Case, Leah Kaminsky, Michelle Law, Caroline Baum, Rochelle Siemienowicz, Nicola Redhouse, Krissy Kneen, Silvia Kwon and Eliza-Jane Henry-Jones. 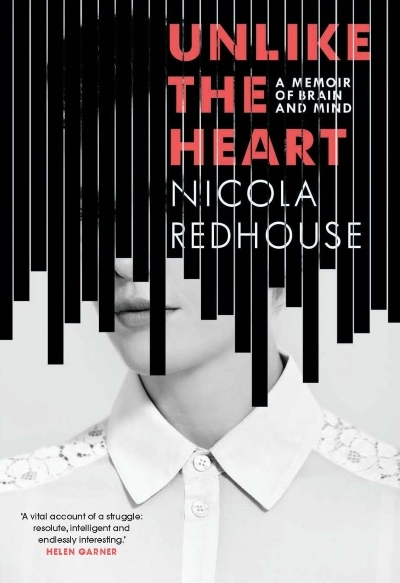 Inspired by her father’s work as a psychotherapist, Nicola Redhouse explores where we sit today with Freud’s theories of dreaming, and the eternally fascinating questions of why we dream and what our dreams could mean. Amsterdam. Paris. The suburbs. A woman comes to terms with a splintering world, and draws ever unknowingly away from recognising her own capacity for hate. In The Best Australian Stories 2014, Patrick White Award–winning author Amanda Lohrey selects the outstanding short fiction of the year. Sometimes fantastical, sometimes raw, and always a ‘shot of adrenaline to the mind and heart’, this collection features exciting new voices alongside the established and admired …Imaginative, remarkable, intimate – this unmissable anthology celebrates the art of consummate storytelling. In The Best Australian Stories 2015, Amanda Lohrey, winner of the Patrick White Award and author of the acclaimed novel A Short History of Richard Kline, curates twenty pieces of exceptional short fiction. Elegant, accomplished and evocative, these short stories move, delight and inspire. A woman is jolted into recalling the painful family schism that took place during her teenage years when she befriended a disturbed older woman. A newly married woman unpacks into her new house a container of boxes sent by her mother, and is faced with thinking about the ways in which she has grown up and the ways in which she has not.